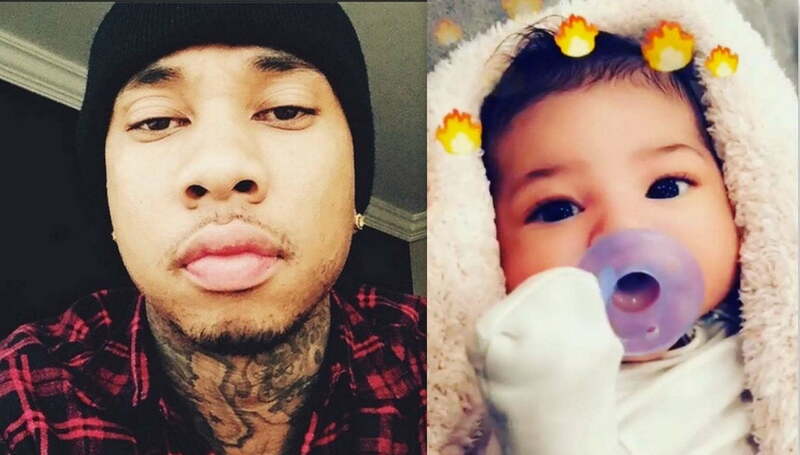 Is Tyga the father of Kylie Jenner and Travis Scott baby girl Stormi? Kylie posted a full face shot of her one-month-old baby girl Stormi Webster on SnapChat on Saturday, and for the first time, all of us get to see the toddler up close and personal. Social media went into a frenzy immediately tagging Tyga telling him to go get his child. “This is Tyga baby go get your child boy,” Kevin tweeted. Kylie Jenner announced in February that she gave birth to a baby girl for her boyfriend Travis Scott. At the time, Tyga jokingly wrote on Instagram that the baby might be his. Since then, there have been rumors claiming that Kris Jenner wants to do a paternity test but that report was never confirmed. 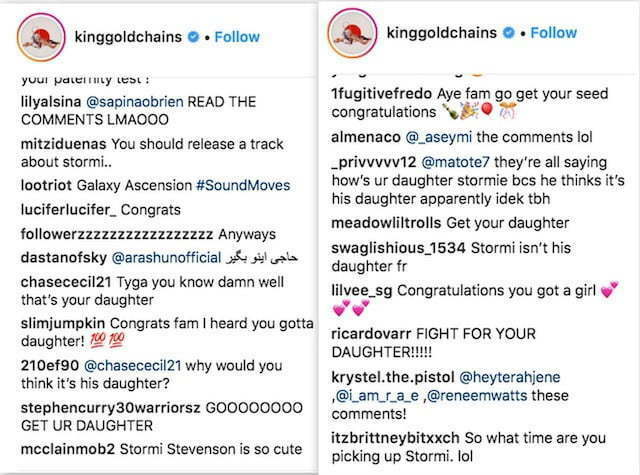 Now if you look at the comments of Tyga’s Instagram posts you will see fans congratulating him for being a father again. T-Raww already has a son from his previous relationship with Blac Chyna. This is the first child for Jenner and Travis Scott. Tyga has not responded to the rumors but there must be a light bulb going off in his head after seeing this photo. The timeline between her split with Tyga and when Kylie started dating Travis Scott is pretty close and she got knocked up not very long after being spotted with Laflare at Coachella last year. There are a lot of theories about the timeline of her relationship with both rappers and when she actually got pregnant floating around. But Travis Scott would be naive not to get a secret paternity test done. Here are some of the comments on Twitter.